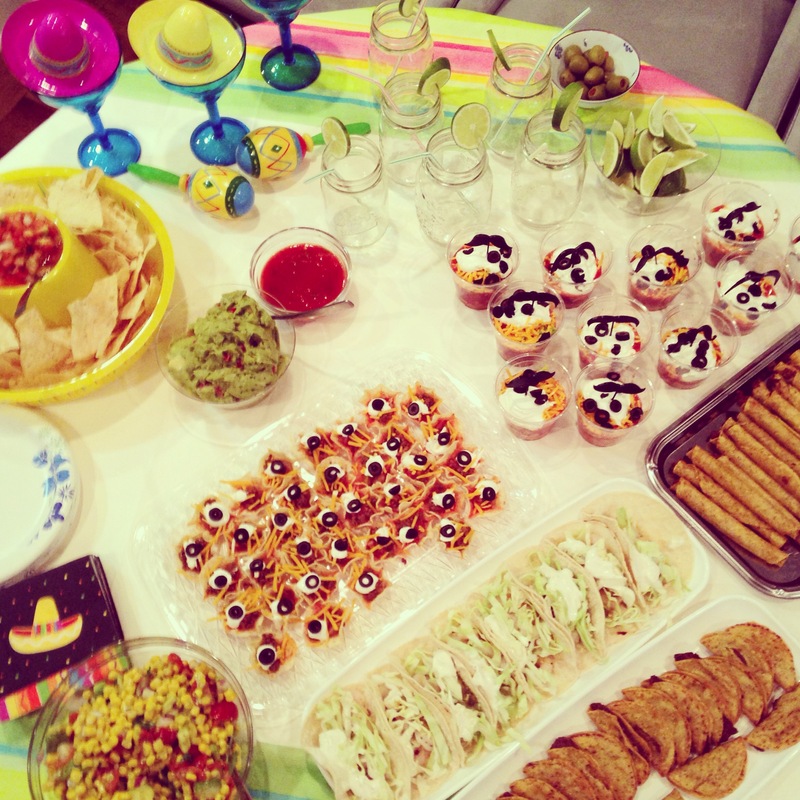 I ususally like to have alot of time to prepare ahead when throwing a party/dinner party so I’m not quite sure what I was thinking to come home and have 2 hours to put everything together by myself for a Cinco de Mayo party. Well, somehow I did it! 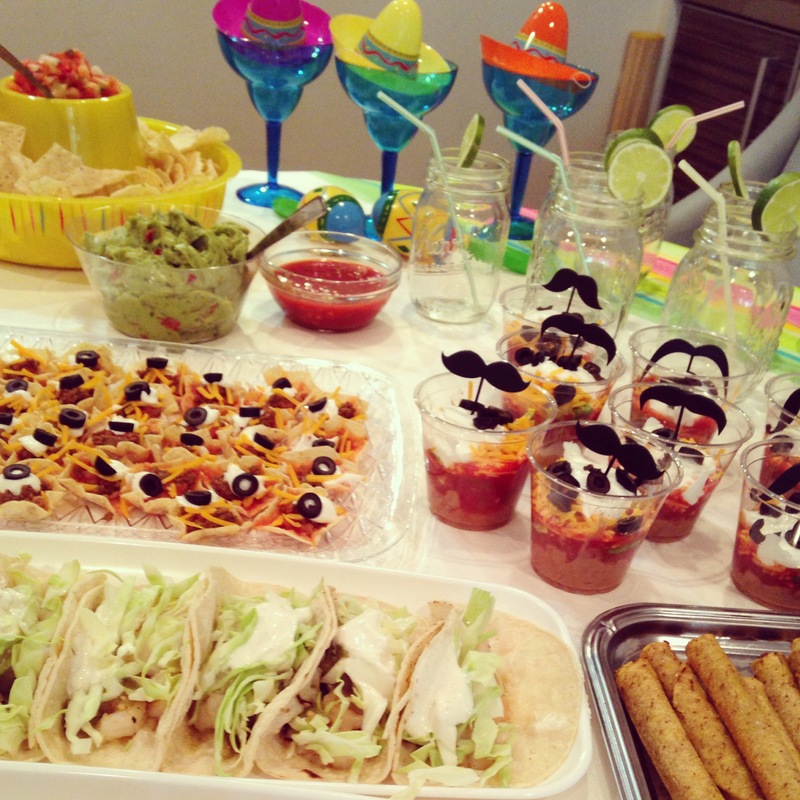 Here’s a look at what I made and what is essential for a great party. Aren’t these so cute? But I discovered that while these were a good idea in theory & easy to pop in your mouth, the bottoms of the cups can get soggy. You’ll need to make them & serve immediately. 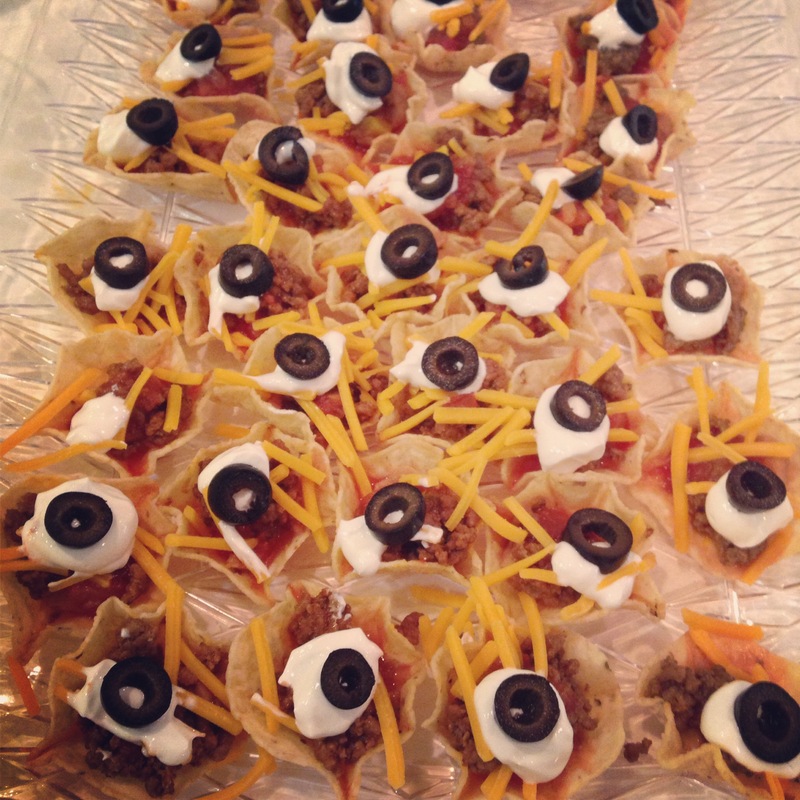 Just layer each Tostito scooper with refried beans, ground beef with taco seasoning, salsa, shredded cheddar, sour cream & a sliced olive on top. The beans & sour cream are hard to scoop in so might be good to use a piper. 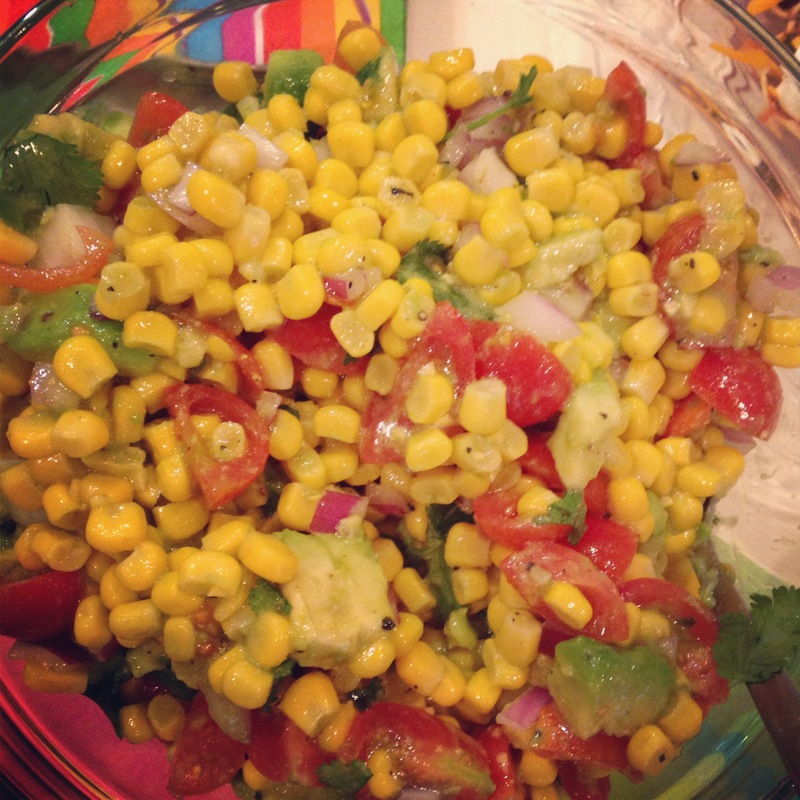 really easy recipe: just mix canned corn, chopped avocado, quartered cherry tomatoes, chopped onions, 3 tablespoons olive oil, fresh lime juice, chopped cilantro, salt & pepper. Refreshing salad that can also be used as salsa. 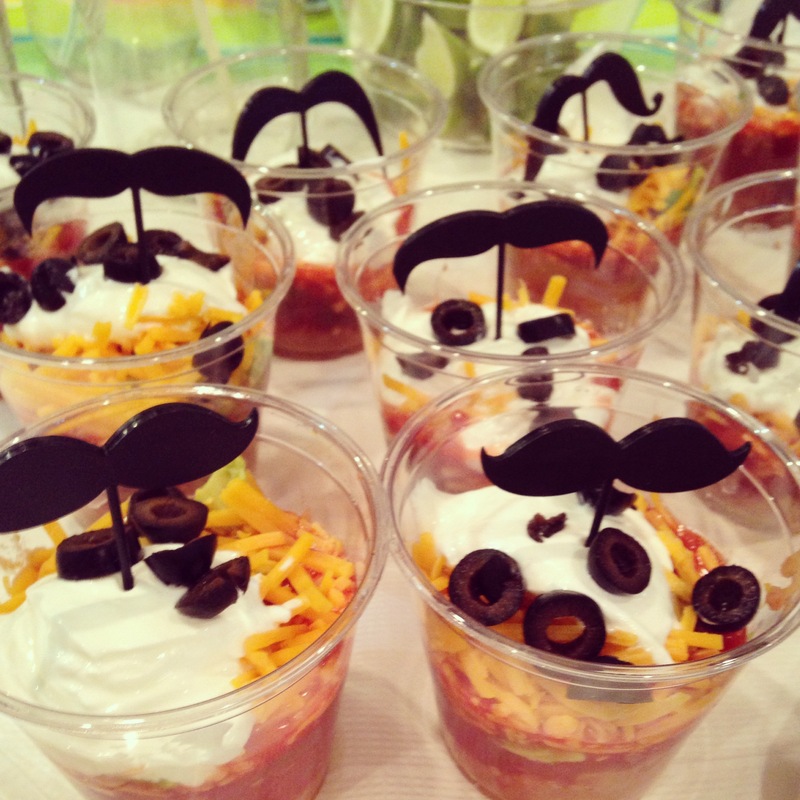 I used the same ingredients as the mini taco cups but also added chopped avocado and for a little fun, I stuck in a mustache pick in each cup. 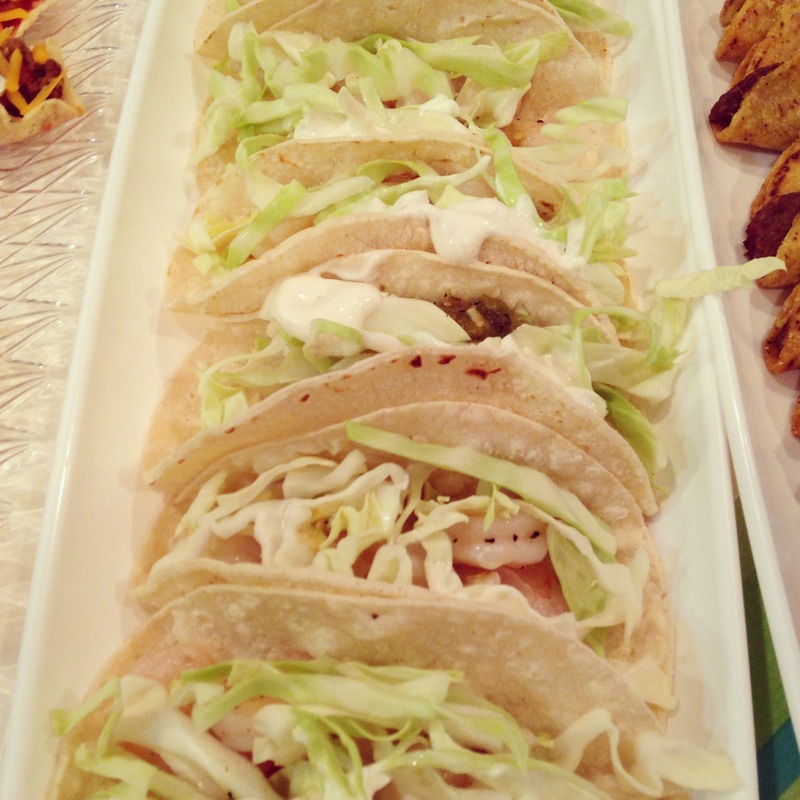 These were decent tacos. I think it would’ve tasted much better if the shrimp was freshly grilled. I bought already cooked shrimp that I heated in a pan. But it’s a good recipe, the white sauce is easy to make & pretty yummy. You have become a sort of Martha Stewart over there in Cali! I am quite proud and jealous of your food!